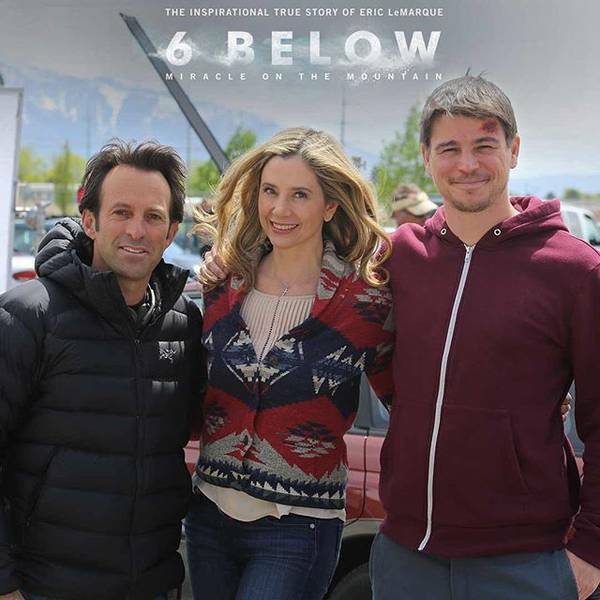 In 6 Below: Miracle on the Mountain, Josh Hartnett plays former professional hockey player Eric LeMarque who, when a snowstorm strands him on top of a mountain for eight days, is forced to face his past and come to terms with his personal demons in order to survive. The film is based on actual events which took place in Feb. 2003 and found LeMarque attempting to survive in the wilderness around California’s Mammoth Mountain after taking a secluded trail. “I figured three hours of riding and then I’d hit the Jacuzzi,” LeMarque told PEOPLE in 2005. Instead, he was reduced to eating nuts and bark to stay alive, and attempting to use his MP3 player as a compass. 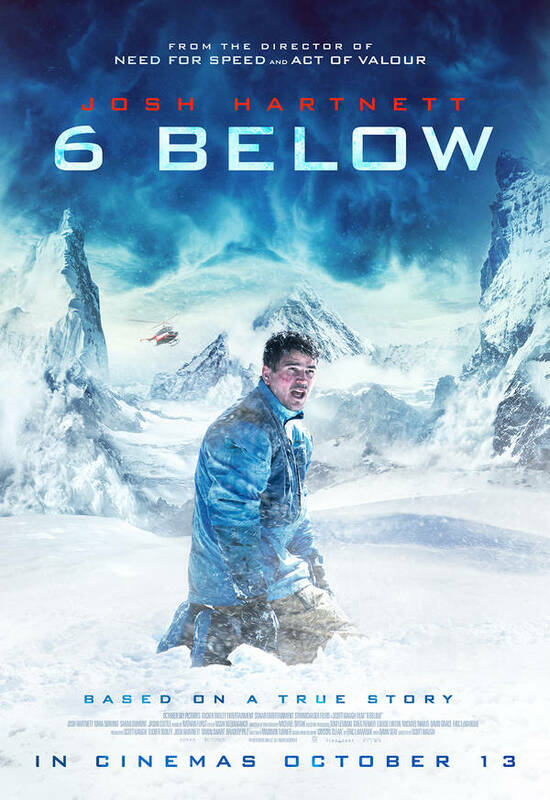 6 Below: Miracle on the Mountain is directed by Scott Waugh and written by Madison Turner. The film costars Mira Sorvino. 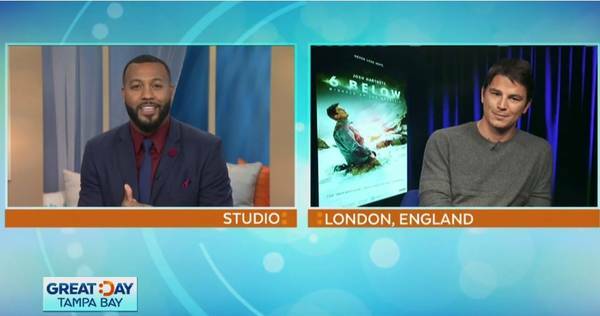 6 Below is being released in theaters Oct. 13, and will also be available to watch on VOD and digital HD from that date. Watch the film’s exclusive trailer above and see its new poster below. Подгадали, понятное дело, к Олимпиаде в Корее. Там вспомнят - Я прихожу с дождем, похоже, у него появился шанс. Как не крути , а он красавец, с нынешними Голливудскими не сравнить. А после Гор... было впечатление, что его слили , как актера. НОВЫЙ ТРЕЙЛЕР И НОВЫЙ ПОСТЕР!!! 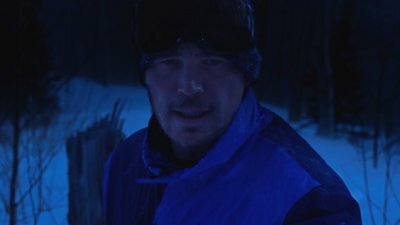 6 Below trailer: Josh Harnett leads the cast of this thrilling true story. 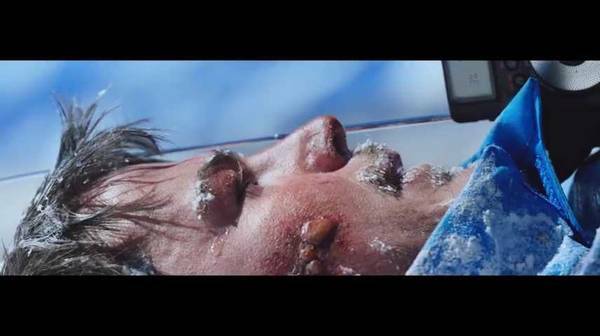 Eric LeMarque (Josh Hartnett) is a thrill-seeking snowboarder with a weight of personal demons on his back. When he gets lost in a massive winter storm in the back country of the High Sierra Mountains, LeMarque is pushed to the limit and forced to battle those demons head-on as he fights against the worst the elements can throw at him. Featuring a mesmerising tour de force from Hartnett as real-life hero LeMarque, 6 Below also features Sarah Dumont (Don Jon, TV’s The Royals) and Oscar-winner Mira Sorvino (Summer Of Sam, Mighty Aphrodite) as LeMarque’s equally determined mother. 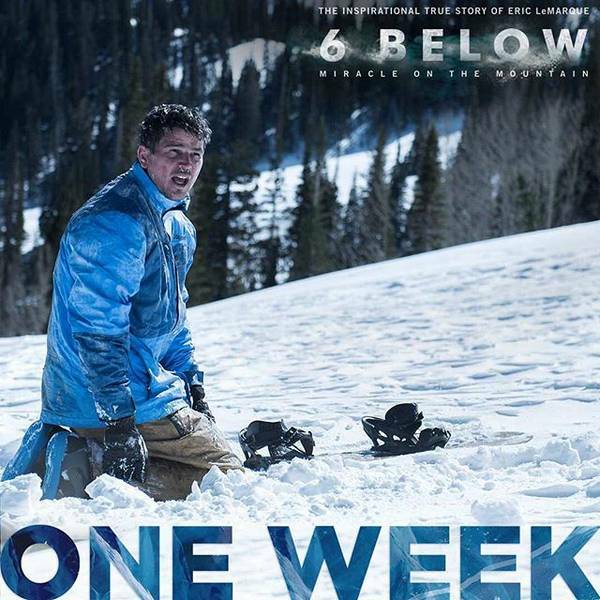 With the wilds of Utah providing the film’s backdrop and giving Hartnett a taste of what LeMarque went through in real life, director Scott Waugh (Need For Speed, Act Of Valor), 6 Below delivers an assault on the senses that thrills – and chills – to the bone. We have the new poster for the film above and the new 6 Below trailer below. 6 Below arrives in cinemas and on demand on October 13th. Back in the late winter of 2004, snowboarder and Olympic hockey player Eric LeMarque embarked on a day of riding at Mammoth Mountain. Towards the end of his day he climbed Dragon’s Back and headed into mostly untracked snow to make his way back toward the resort. Facing coyotes, temperatures below freezing, snowstorms, no food, no ability to create fire and warm up and an endless list of perils, LeMarque’s survival is truly remarkable. 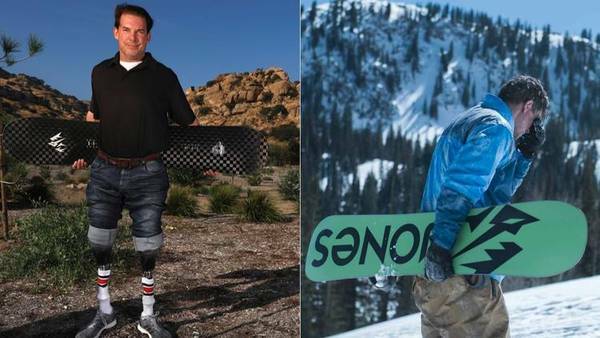 He did pay for it with the loss of his legs, but he was eventually rescued and still loves the mountains. 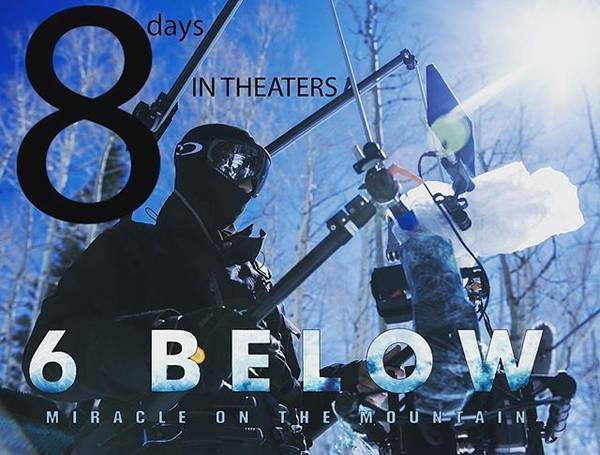 “6 Below: Miracle on the Mountain” hits theaters on Oct. 12. ДО ПРЕМЬЕРЫ ФИЛЬМА "НА ГЛУБИНЕ 6 ФУТОВ" ОСТАЛОСЬ 8 ДНЕЙ!!! "На глубине 6 футов"- первый взгляд! До премьеры фильма "6 Below Miracle on the Mountain" одна неделя! До премьеры фильма "6 Below: Miracle on the Mountain" осталось три дня!!! Спасибо за добрый отзыв, буду верить в успех фильма. Очень жаль, что в первый день показа зрители фильм не поддержали, рекламная компания у прокатчика нулевая, увы. Вся надежда на хорошие отзывы и будем надеяться , что к выходным фильм наберет обороты. Imagine a story about an adventure-seeking loner who decides to go on an adrenaline-fueled solo trip in a dangerous place without telling his loved ones. That same loner then becomes stranded through unfortunate circumstances and has to brave the element on his lonesome. The loner has to go through a bit of self-sacrifice in order to stay alive as he has no rescue coming. The loner has to then revisit his life, his choices, and vow to make himself a better should he survive this ordeal. It’s not that the film is “boring,” it’s just that for much of the time, it’s Harnett just walking through the snow, occasionally talking to himself, and then going through much more interesting flashbacks. The film might have been served better even making the flashbacks the focal point of the story instead of the time that is spent on the mountain. The notion of a tortured kid, who was raised from greatness to be the best hockey player by a driven father, who then believes his own hype to the point of becoming drug addicted when he cannot fulfill his father’s wishes (after his father walks out on him at an early age). While in the film he’s addicted to Crystal Meth, Harnett plays him as a functioning addict, and not one that his mother should be extremely worried about. It’s more like his addiction is just a “bad habit” instead of the destructive illness that we know many opioids are in real life. The film seems to wrap up rather quickly and then becomes a tonally different movie complete with “heroic” music and a cookie cutter ending of hope and redemption. While the book focuses on faith as a means to survive, the film seems to ditch most of that and have LeMarque focus on his sheer will to survive. The film does have its moments of greatness though. Because most of 6 Below is in the mountains of Utah during the day, we get some gorgeous scenery shots. It’s surprising that director Scott Waugh (who’re previous films included Act of Valor and Need For Speed) was able to pull off such breathtaking shots. Thanks to cinematographer Michael Svitak, we get to see the beauty and the terror of the High Sierras. The makeup effects are also well done, as Harnett’s LeMarque is forced to ingest rotting flesh from his frostbitten feet to survive. As he’s savoring his disgusting snacks, it’s very well done with the right amount of gore that doesn’t completely revolt the audience, but they definitely aren’t comfortable with it. Although 6 Below is a quick 96 minutes, because of plenty of nonaction, it feels slow and uneventful. If you didn’t know that it was a true story, which it painstakingly does at the end (where you get to meet the real LeMarque and get a summary of his post-mountain activities as a motivational speaker), you would think it’s your standard cookie-cutter Disney-inspired feel-good film. 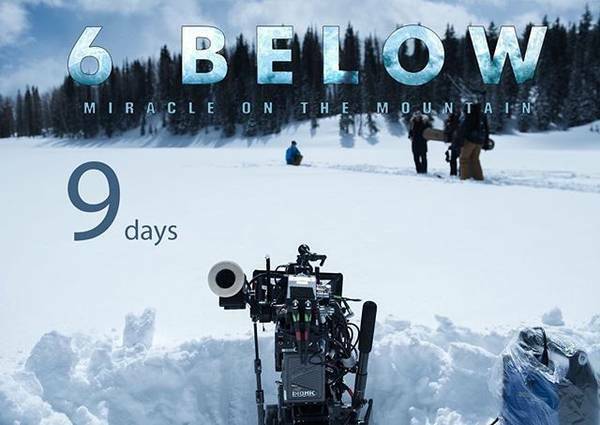 Six below: Miracle on the Mountain is a new movie all about survival. 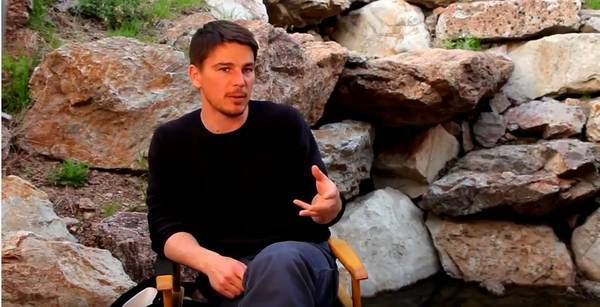 We talk to Josh Hartnett about his challenging new role and what he hopes audiences take away from watching this powerful movie. Six below: Miracle on the Mountain tells the true story of Eric LeMarque. He is an adrenaline seeking snowboarder gets lost in a massive winter storm in the back country of the High Sierras where he is pushed to the limits of human endurance and forced to battle his own personal demons as he fights for survival. 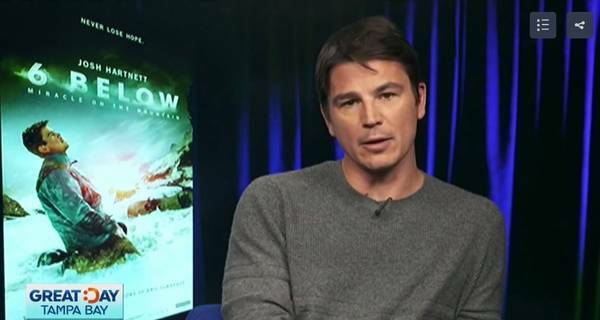 Josh Hartnett talks to MORE about '6 Below: Miracle on the Mountain"
Josh Hartnett, known as a Hollywood heartthrob with a stellar smile, takes on real drama in "6 Below: Miracle on the Mountain." MORE's Molly Riehl talked to Josh about the story of survival and what it took to prepare for the role and the elements. "6 Below: Miracle on the Mountain" is in theaters now. 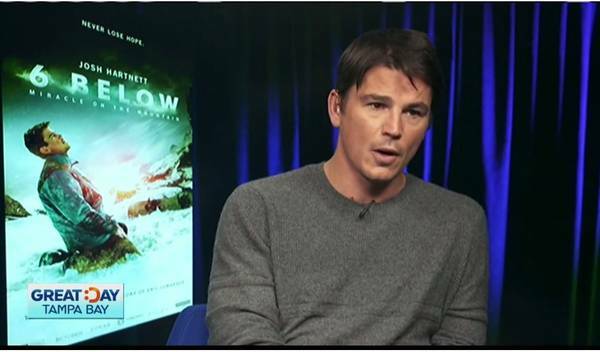 The first time Josh Hartnett read 6 Below: Miracle on the Mountain he couldn’t believe it was a work of nonfiction. The recently released novel shares former hockey player Eric LeMarque’s firsthand account of how an idyllic snowboarding trip to Mammoth in 2004 turned into a weeklong survival story, taking place in the remote wilderness of Sierra Nevada. 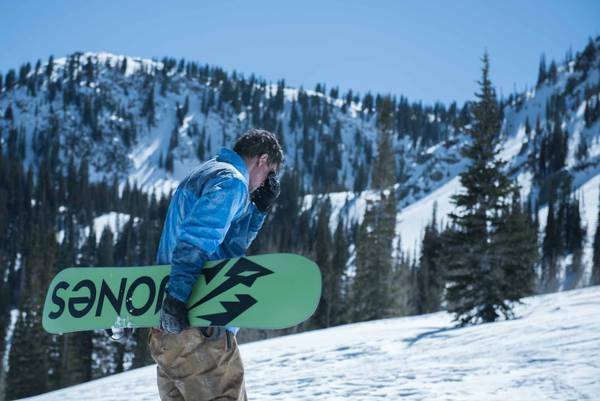 Harnett, who plays LeMarque in a new movie based on the book, has snowboarded since he was 17 years old and struggled with the concept that one could go from ski resort comforts to The Revenant-style circumstances with nothing but one unfortunate turn. But that is exactly what happened to LeMarque, who after an ill-planned run down Dragon’s Back ridge landed deep in the Ansel Adams Wilderness. Somehow he managed to survive single-digit temperatures for seven days with nothing but Bazooka bubblegum, an MP3 player, a dead cell phone, condo keys, and a soggy pack of matches. Since the production had ridden snowmobiles to get to that location, and the nearest town was a 20-minute drive away, Hartnett is dubious that the stranded skier would have ever found the right way back. “Everywhere you looked was fresh powder, trees, and mountains,” he recounts. “There were indicators about where we were on the horizon. There were no roads around either. That is when it hit me. 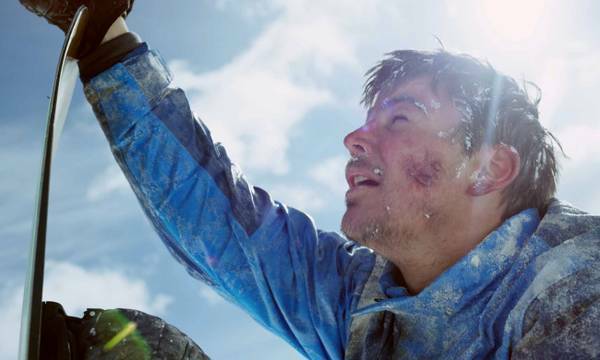 This could happen to anyone.” Thanks to this experience and LeMarque’s tale, Hartnett plans to pack this newfound respect for the great outdoors on his next snowboarding adventure. Had you ever heard of anything like this before in your snowboarding circles? I have friends who do a lot of heli skiing and heli snowboarding. They will go up to Alaska or British Columbia all of the time. There is a lot of that that goes down in the Wasatch Mountains in Utah, which is where we filmed. They have a heli snowboarding company out there that helped us get to the places that we needed to shoot. That always seemed fairly dangerous. But I never imagined that something like this could happen on the backside of an established commercial mountain. I had only heard about the story when it happened in passing but this was my first time hearing the whole ordeal. Did you get to chat with Eric about his story in-person? Yes I did and that brought an added responsibility to tell the story. Our director Scott Waugh had also played hockey with Eric, so he was familiar with the story intimately as well. Because of that I wanted to really put myself to the test during the filming. How did you fair in the conditions you were working in? I definitely made myself uncomfortable. It is incredibly cold up in the Utah Mountains. Most days we were up at 10,000 feet or above, which only added to the fatigue. There were medics on set, they told me they wanted to stop filming because I had the beginning of frostbite, but there was no budget for that. So we just threw heat pads into my boots, which helped. Not only that but I was not really eating anything, so that combined with the environment started to really mess with me. I think in the end people will be able to feel that desperation though, and it helped us get the feeling that we were hoping for. How did you enjoy getting to snowboard in those locations? This movie gave me an excuse to go up for a few weeks and really just get on the mountain every day. I was also lucky that Jeremy Jones hooked us up with some great gear, which I am still using to this day. I did as many of the boarding scenes as I could. I will be honest there were a few times I was looking down the slope and wondering if I was going to break my neck. But the camera was on, so I had to do it. I just went for it. I think that pressure helped me become a better boarder. What were the best places you got to go? I went to Park City, spending a lot of time at Snowbird and Alta. It was great to get full-day passes because when the end of the day hit it would clear up a little bit. But to be honest the best snowboarding I saw is when we were filming the movie out in the woods. Snowmobiles took us out and I got to go on powder that hadn’t been touched at all. Now that you are a father, do you think you’re going to let them on the slopes as well? 6 Below: Miracle On The Mountain is now in theaters and on demand. Посмотрелся фильм легко, время пролетело незаметно, на часы не поглядывала. По сюжету фильм автобиографический, действо происходит от лица Эрика ЛеМарка, и заканчивается небольшой сценой с самим Эриком. Фильм снят по его же книге и, если бы не Джош Хартнетт и шикарнейшие съемки зимних гор, можно было бы назвать его документальным. Впечатление после просмотра светлые, посыл верить в свои силы и в любовь матери принят безоговорочно, игра Джоша отличная, веришь, претензии лишь к построению фильма и к сценарию, в котором боль, внутренние терзания, ломки, холод и страх заменены сценами воспоминаний, т.е. накала трагического восьмидневного блуждания в горах зрителям прочувствовать не дали, как только камера от снега/леса/гор приближалась к Эрику/Джошу, через минуту начинались воспоминания. Перебор воспоминаний явный, и так, после первого воспоминания стало ясно, откуда Эрик черпал силы и злость, от папули (который и есть злодей фильма и всея его жизни), с детства загнобил его тренировками, и если бы не "чудо на горе", лишившее Эрика ног, ничего хорошего в его жизни так бы и не случилось. (-) 1ч.30мин. (Картина Виктора Васнецова "Витязь на распутье"(х.,м.,1878г.) - это не из-за глупости и ухода (прихода) от себя (к себе). "На глубине 6 футов" (2017), США, реж. Скотт Во, сцен. Мэдисон Тернер. "Лента, основанная на реальных событиях, расскажет о том, как Лемарк, катаясь на сноуборде, потерялся в горах из-за снежной бури...". И приукрашен? Точно, американское кино для американцев. От гл. героя Эрика Лемарка избавилась спортивная команда, он от мамы сбежал, от волков удрал (а были ли они в реале? ), от наркотиков избавился, как и от 2-х своих ног... Такой плохой колобок становится национальным героем. Мне не понять такую холодную передачу выживания, терзания души, финал. За что наказали артиста Джоша Хартнетта (или наказал он сам себя)? Не верю. Не мой герой. You wait ages for a movie about survival on a snowy mountainside, and two come along at once. In the wake of last week’s Kate Winslet and Idris Elba vehicle The Mountain Between Us comes this based-on-a-true-story drama about what happened to former pro hockey player Eric LeMarque (Josh Harnett) when he went snowboarding with a plastic bag full of crystal meth, a two-way radio low on charge, and a foolhardy belief in his own inviolability. Bleached-out flashbacks to LeMarque’s unhappy childhood punctuate the film’s present-tense trudges through the snow, failures to light a fire, and inevitable encounters with wolves. Stylistically, it’s strictly made-for-TV trauma-drama stuff, but it’s hard not to admire Hartnett’s tenacity in what was surely a physically challenging role and wonder why he hasn’t had a better career arc. Poor Mira Sorvino, who has had even worse fortunes despite an early Oscar, and who is only 11 years older than Hartnett in real life, is cast as LeMarque’s long-suffering, devoted mother. Still, perhaps the best thing about this movie is that the relationship between a parent and her adult child, instead of a romantic liaison, represents the true emotional spine of the story. Эрик ЛеМарк рассказывает о фильме и рассказывает о произошедшем с ним. Eric LeMarque has seen his life flash before his eyes more often than most people. The first time occurred during the eight days he was stranded on Mammoth Mountain in February 2004 after he decided to make a late snowboarding run and got caught in a vicious storm. He landed in unfamiliar territory, armed with only a light jacket, some gum, soggy matches, and a baggie of meth. He ate tree bark and huddled in the shelter he created by digging his board into the snow. 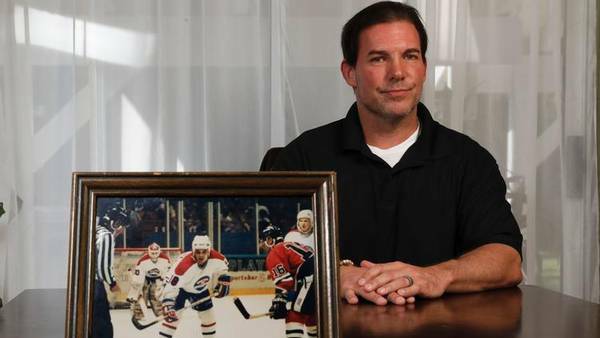 The fitness he had built through working out and playing hockey — he represented France in the 1994 Olympics and played in the minor leagues and in Europe — sustained him as he experienced frostbite, dehydration and starvation. “I saw and met the spirit of death on the mountain, and it was rank and it was very tangible. I saw its presence,” said LeMarque, who was born in Paris but grew up in West Hills and Pacific Palisades. He again saw his life flash before his eyes during the filming of “6 Below: Miracle on the Mountain,” which depicts the events that cost him his legs but ultimately led him to break his drug addiction and become driven by faith. 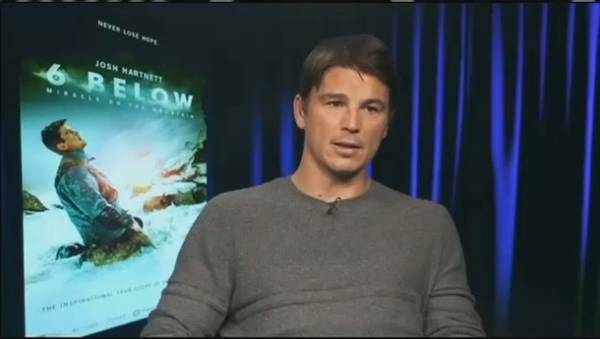 As an executive producer of the movie, which opened earlier this month in limited release and is available through video on demand, LeMarque agonized over actor Josh Hartnett’s portrayal of him during key moments of his life. For LeMarque, whose legs were so badly damaged by lengthy exposure to sub-zero temperatures that they were amputated below the knee, watching it all play out again often was overwhelming. One of what he called the “ugly” scenes depicted the first time he used meth “and letting that demon and that spirit into my life.” He had been arrested for trespass and drug possession shortly before that snowboarding trip and was awaiting a court appearance. His decision to quit hockey was also tough to revisit because the sport was so much a part of his identity. Drawn to the sport as a child, he sailed through youth programs. 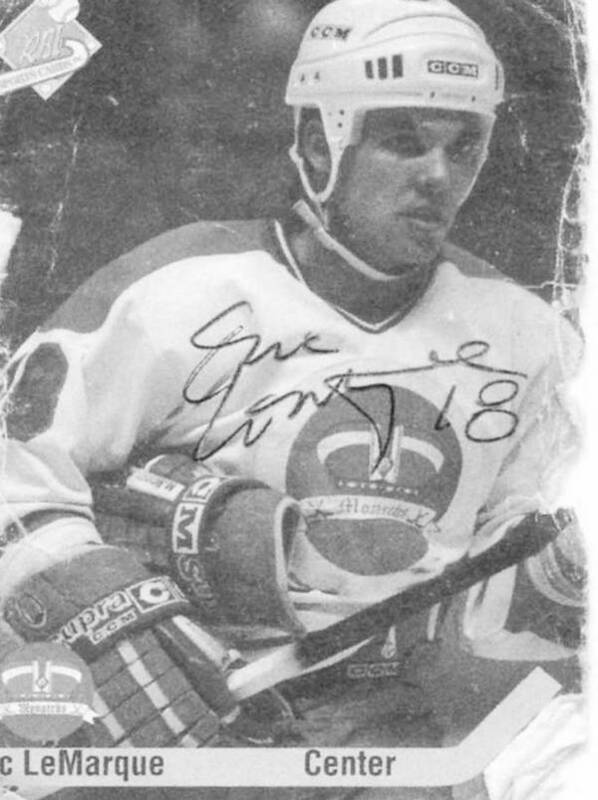 He was 17 when he began a four-year career at Northern Michigan University, and he was chosen 224th by the Boston Bruins in the 1987 NHL entry draft. Every sport was easy for him. He was arrogant enough to think professional success also would be effortless, but he sabotaged his own chances. In the movie, the Boston coach who orders him off the ice is played by former King Marty McSorley. LeMarque also attended training camp with the Kings but declined an assignment to their minor-league affiliate. 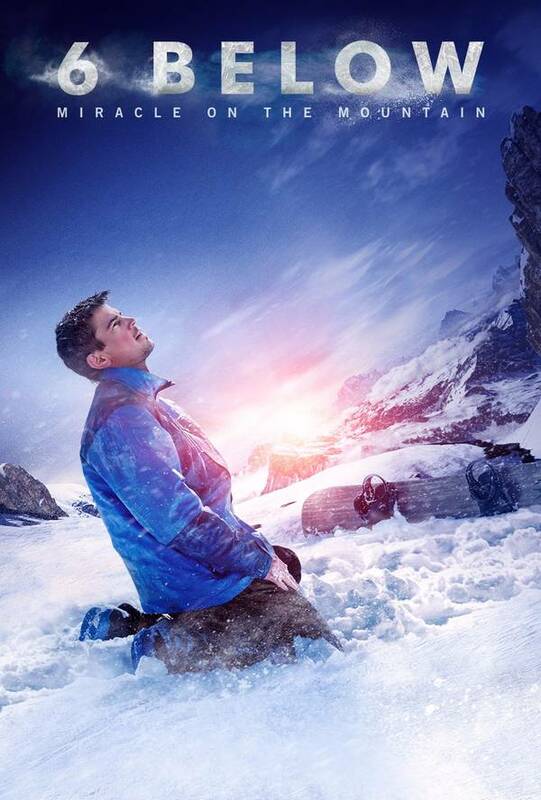 Статья Эрика ЛеМарка о событиях, происходящих в фильме "6 Below: Miracle on the Mountain"
This is the story of a near death experience. It’s a story of addiction, but it’s more than that. It’s also about how you sometimes have to lose part of yourself, maybe even the part you love the most, before you can really know what makes you whole. It’s a story about how finding your strength can come from reaching the limits of your endurance. About finding out if you never quit you will win. Until I survived an ordeal that would strip away every false assumption and easy belief I ever had, I thought I knew who I was. And as far back as I can remember, a big part of that identity had been about my feet. That may sound weird. If most people were asked to single out their most important asset, they usually talk about their character and integrity; their mind, or their heart or even their face. But for me, it was my feet. They carried me to victory after victory in my life, racking up one achievement after another. My footwork was what had earned me a place on the Boston Bruins line-up in the National (Ice) Hockey League, the thrill of winning several World Championships and the opportunity to play in the 1994 Winter Olympics in Lillehammer. Everything I accomplished as an athlete - and I accomplished a lot from a very young age - involved my feet in one way or another. Even on the slopes, as an expert rider, it was my feet that conveyed to me the sensations of soaring, gliding and jumping. They allowed me to master the terrain I was negotiating on every run, to make the split second adjustments and last minute decisions that gave snowboarding its instinctive and spontaneous thrill. They were what kept me grounded and allowed me to soar. Like most of us, I took my body, and all its parts, for granted. I expected it to be there when I needed it and perform as required. But it’s also true that my personal performance standards were very high. The fact is that my physical abilities - the athletic ability I was born with, defined who I was, to myself and to others. It seemed that I had a knack for anything I tried, starting with skating and hockey, up through baseball, basketball, football, surfing, even golf. And, of course, snowboarding -- riding -- which was a sport I excelled in above all others. With all of them, it was my feet that led the way to some of the most triumphant, memorable and exciting moments of my life. I never imagined what that life might be like without my feet. Who could? The only time you may notice your feet is when they get sweaty or smelly or dog-tired. You flex your ankles and wiggle your toes without thinking about it. They are an extension of us, the way we get around in this world and without them, the horizons of that world can shrink to nothing. That’s what happened to me. I lost my feet, eight inches below the knee, and my world was suddenly reduced to the four walls of a hospital room. Through a combination of over-confidence and poor judgment, brought on by my meth addiction, I allowed my feet to freeze. When I realized what was happening, I did everything I could to reverse the process. But it was too late. The parts of my body that had taken me so far, so fast, were dead. And if they weren’t cut away from me, I would have died also. For once in my life, I had no choice. But that didn’t make the decision any easier. I’d be lying if I said that there haven’t been times since, in my darkest hours, when I regretted that decision, times when death seemed preferable to what I had to endure. There was a time when I would have traded everything for a pair of thick dry socks or a cup of hot soup. Late in the afternoon of February 6, 2004, I was getting ready my last run of the day down Mammoth Mountain in California’s Sierra Nevada range. I had purposely moved off the main trails in search of the fresh powder recently dumped by a big winter storm and not yet traversed by the hordes of skiers and snowboarders who flock to the slopes every season. I found what I was looking for in a remote area called Dragon’s Back, where I delved off a big hit right at Beyond The Edge, on the eastern flank of the mountain. I’d packed light that day, expecting to be back, soaking in the hot tub of the apartment I had borrowed, just before night fell. I had a ski jacket and pants with the linings removed to maximize my manoeuvrability and in my pockets I carried four pieces of Bazooka bubblegum, a cell phone with a dying battery, my MP-3 player and a small plastic Zip Loc bag with about a half-gram of speed. Eight days later, a National Guard Black Hawk helicopter dropped a rescue harness onto the snow bound summit slope of the mountain to pull me to safety. My body temperature was 86F. I had lost forty-five pounds. I had eaten nothing but cedar bark and pine seeds for over a week. I had endured nighttime wind chill factors of twenty below. I was stalked by wolves, slept in snowfields with no shelter, fell into a raging river and was nearly swept over an eighty foot waterfall. I had survived in those conditions longer than anybody else on record. They called me The Miracle Man. During those eight days I went from extremes of hope and despair; expectation and disappointment; fear and courage. The physical tribulations that I endured were matched by the emotional highs and lows that swept over me from day to day and even hour to hour. As I was withdrawing from one kind of powder -- meth -- I was learning a whole new respect for the other kind of powder -- the snow that I struggled through, sometimes waist deep, sometimes chest deep. I fought for my life to the extreme limits of my own strength. I’ve heard that there are separate stages to the process of dying: denial, anger, bargaining, acceptance, etc.I’ve gone through most of those stages as I’ve experienced the death of the life I used to live and the man I used to be. It hasn’t been easy and on more than a few days the most urgent question I ask myself is: why me? Adjusting to life without my feet, to performing the daily tasks that we all take for granted, has been, in it’s own way, every bit as challenging as the eight days I spent lost in the frozen wilderness. I’m reminded of that every time I have to crawl on my hands and knees to the toilet in the middle of the night. I’ve said that this isn’t just an addiction story. But it’s not just a survival story, either. In one way, what happened to me up on that mountain was totally unexpected. I was thrown into the middle of a do-or-die situation, unprepared for nature at her most unforgiving. I had been using speed for months and, even though I knew what it was doing to me, I wasn’t quite ready to quit. As a result, I had compromised my objectivity and my ability to make sound decisions, not to mention my physical stamina. No one was more surprised than me to find out that I had put myself in a life-threatening situation. I was too experienced, too much of a pro to find myself this vulnerable and exposed. When I retired there was a void in my life that was something bigger than my 6-foot view. My dreams were dead and I did not work through that and found temporary comfort in artificial highs that literally swept my legs out from under me. Gate-way drugs led me into a full meth addiction within just a month and into an addict where every day for 8-months I was using poison to get through life. I lost my legs but fortunately did not kill anyone or myself. As you’ve probably guessed by now, my whole story is one of extremes. I had lived my life purposely pushing the envelope until I finally pushed through. Those eight days on the mountain proved to me that my will to live was stronger than the reckless drive that fed my addictions. My addictions to powder, to speed and to snow, were symptoms of a life out balance. What replaced them – an incredible wife and beautiful family – are the down payments on a future I never imagined could be mine. I’m not addicted to powder anymore. I don’t do meth or any other drug, including painkillers, and even though I still enjoy the occasional snowboard run, it’s no longer an obsession. These days, when I’m out on the slopes, I take a minute to remember what it was like during those eight dark days. That’s when I realize the truth behind the old saying: what doesn’t kill you makes you stronger. Премьеру фильма 6 Below Miracle on the Mountain в Италии перенесли с 14 февраля на 8 февраля 2018г. Ваши Недомански, на фестивале Санденс 2018, сделал серию докладов об опыте съемок фильма "На глубине 6 футов". That experience came about thanks to a deal J.J. Abrams’s Bad Robot signed with Barco Escape, the company behind the three-screen system, and those ultra-immersive 20 minutes were created in postproduction. 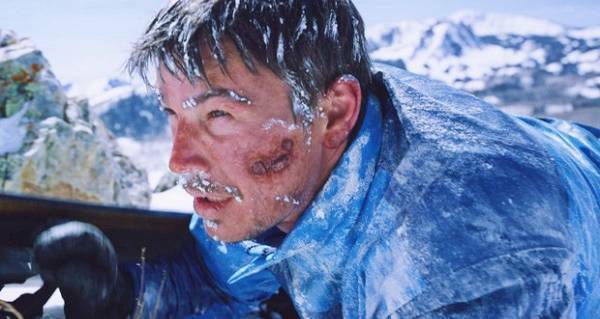 In contrast is 6 Below, which starred Josh Hartnett as a snowboarder who struggles to survive after a blizzard traps him on a mountain. That film was filmed entirely in 6K, and director Scott Waugh planned on releasing it in traditional 4K and Barco versions. Editor Vashi Nedomansky was at the 2018 Sundance Film Festival, steps from where they shot to film, and explained to Digital Trends just makes the 6K format so amazing. “At most theaters, if you go see a movie, you’re seeing a 2K” image, Nedomansky explained. It’s usually either Digital Cinema Package (DCP), the industry standard, or a 4K image. “4K’s not twice as big as 2K. It’s four times as big. 6K is again, another huge step bigger.” Nedomansky explains, “It’s not saying resolution is better, it’s just a device for capturing all the imagery you want. It’s great because when you downscale, make it smaller, it’s really crisp and clean and retains all the inherent quality and fidelity that you would want.” 6 Below was notable, he said, because it was the first fully 6K Barco film where all three screens are on the whole time. 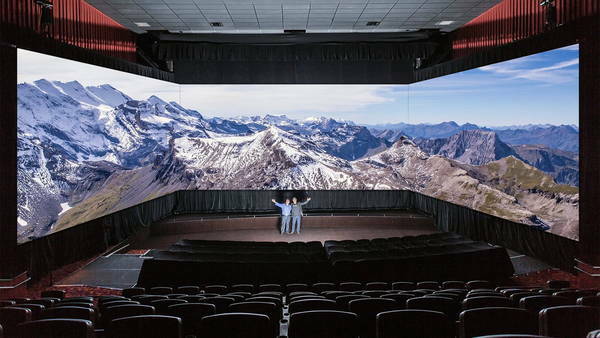 “It’s this massive, immersive wrap-around screen with all the content playing the whole time, and you’re in that world,” he said. But it’s really the editing process that sets it apart.